We were delighted to be able to have Aisling as our wedding photographer. She had been the photographer for some friends previously and we knew we loved her style and her way of working. In the lead up to the wedding Aisling was really helpful. She even went up to the venue, Mount Druid, and so she was able to have lots of great suggestions for group and individual photos. She also suggested meeting up to chat through how the day might go and what kind of photographs we were looking for which was really great. Aisling’s advice really helped us to plan the day properly and make sure that everything ran smoothly. On the day Aisling was just brilliant. All of our families thought she was just great and commented on how lovely her manner was. We both have large families but she was able to marshal everyone really efficiently and make sure everyone looks their best. She is very unobtrusive which means she is able to capture special moments. There are so many great shots of moments we didn’t even realised were being photographed! We were over the moon when we got the photos back because they are just perfect. There are so many lovely un-posed photos from the day including beautiful photos of the speeches and the first dance. The photos Aisling took really captured the day and we will be able to look back and treasure them forever. We couldn’t recommend Aisling strongly enough!! Aisling was very much the professional from start to finish. We booked Aisling to do our engagement shoot and from this we knew immediately she was perfect for our big day. We felt very comfortable around her and the quality of the photos were spot on. We also loved the way Aisling was able to spot great photo opportunities, ones we would have missed otherwise. Aisling also worked with us and the ideas and requests we had and she didn't stop until she got them all. Our big day, our loved ones and fave memories have been captured so elegantly forever. We were so happy with our experience working with Aisling Finn as our wedding photographer. The process began early in our wedding planning journey and Aisling met with us (by skype as we were organizing from abroad) several times to understand what we were looking for as well as an overall understanding of our themes and plans for the day. We had an engagement session which we found incredibly useful to prepare us for the big day and we were so impressed with the photos that we knew she would do a great job for the wedding. She really did!! On the day Aisling seems to be able to be everywhere and yet you've no idea how she got there. She has a quiet confidence that helped us feel calmly reassured that she was catching everything and yet she is also not afraid to speak up and direct family members to where they need to be (an essential task at times). We could not be happier with the finished photos! We would recommend Aisling Finn to anyone!! From the first meeting to the big day itself, Aisling was a pleasure to deal with. She made a huge effort beforehand, going the extra mile to make sure that all the preparation was in order. We had a few locations in mind for the photos and Aisling was happy to help us identify the best location. 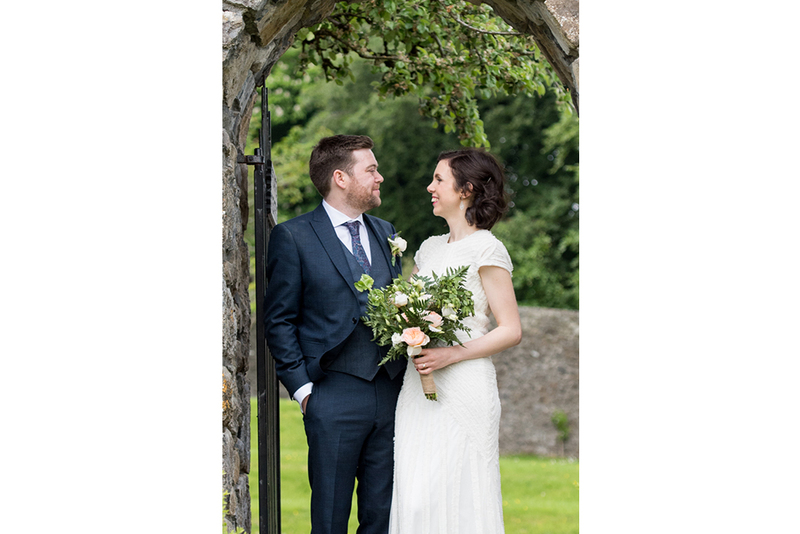 Aisling was extremely professional, organised and easy to get in contact with and she really made a big effort in advance to make sure that the wedding day would run smoothly. As for the day itself, Aisling was a joy to work with. We asked her to get certain photos on the day and the results that came back were exactly what we were looking for. In particular, there are many lovely natural moments which were timed to perfection. During the ceremony, she was very discreet and went about her job in a very unobtrusive manner. Overall, Aisling was very professional in everything she did and it was fantastic working with her. Aisling provided us with beautiful photos of our wedding day and we will cherish them forever. We would highly recommend Aisling as a photographer to any couple for their wedding day. Working with Aisling Finn Photography for my wedding was a lucky accident. Once I had sat down and chatted with her about my ideas I knew the search was over. Aisling has a quiet confidence and an eye for detail that worked perfectly for what I was looking for in my wedding photography. A perfect match of creativity and technical knowledge meant that Aisling could achieve what I wanted in regards to composition, style and editing. On the day Aisling slotted in seamlessly and many of my guests complemented her good nature and ability to be in the right position without being intrusive. Her excellent organisation skills meant that the end result was exactly what I set out to achieve. Thank you Aisling for being part of out special day. Seán and I hired Aisling for our February wedding in Ballybeg House, and from our very first meeting we were impressed. Aisling listened carefully to what we wanted, and took the time to go and visit our venue and take a look around. She was incredibly professional, and came back to us with a really well thought out schedule for the day, as well as some gorgeous and creative location suggestions. On the day of our wedding, Aisling was brilliant. She was so calm and relaxed that we hardly even noticed when she was taking photos! When it came to our group photos, she was very organised. She made sure to let us relax and chat to our guests before being whisked off, as this had been really important to us. We had emphasised to Aisling that we only needed a few posed photos, and the candid ones were more what we were after, so she kept the photo session short and sweet. We were beyond impressed when we saw the photos after the wedding. The group photos were beautiful, but what really wowed us was that Aisling had caught so many wonderful candid moments of us and of our guests, and they just really brought us back to the day. There are so many photos that just make us smile every time we see them! We really can’t recommend Aisling enough, we were delighted with her work from start to finish. Aisling was a thorough professional who provided us with beautiful photographs of our wedding day. She was equally happy to follow our requests or to take the initiative herself. As a result of her continuous energy and enthusiasm we have many special photographs of friends, family and memories of our happy day. She was extremely easy to communicate with, always quick to reply to any queries we had and followed up with every last detail of the job. We strongly recommend Aisling to anyone who is looking for high quality photographs from someone who is both a professional photographer and an all round courteous and pleasant person. Aisling did a wonderful job at our wedding in July 2014. From the moment she arrived she made me and the whole wedding party feel completely at ease. On the morning of the wedding she took some lovely photographs with the bride’s family before heading off to get some photos of a nervous groom. Her attention to detail was exemplary. She captured some fabulous portrait photos of the bride and groom as well as taking some delightful spontaneous shots of us and our guests whilst remaining unobtrusive throughout. Aisling had a professional and lovely manner which made us feel completely at ease during the day. We were delighted with the quality of Aisling’s photographs. Her creative style captured some lovely moments which we’ll treasure forever. We still get many nice comments when we talk through our photos with friends, who comment on how great the photographs are. We couldn’t recommend Aisling more highly. Thank you! We were completely delighted with Aisling, she was able to time shots perfectly and capture natural moments exquisitely. For the posed shots she was brilliant in getting everyone where they needed to be and in choosing the most stunning locations for the pictures. So many friends and family members were just amazed at how beautifully everything turned out. They said it looked like the cover of a bridal magazine! We both felt so lucky to have Aisling with us on the day and would recommend her to anyone in a heartbeat. I was drawn to Aisling’s work by the precious moments she captures in her images and the photographs she took for us are filled with very special memories of our wedding; a tender hug between friends, the subtle detail on a dress, the joy shared by a family group. She is unobtrusive, patient and extremely efficient. I would highly recommend Aisling as a photographer to any couple for their wedding day.